The Bell SX-1 Whip Helmet is a fresh new graphic to the tried and true SX-1 chassis. 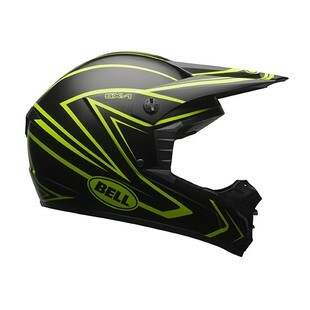 Bell is coming into the fall strong with the very popular Hi-Viz yellow graphic they call the Whip. 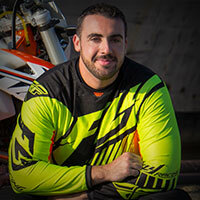 The Whip holds onto the DOT safety rating of the current SX-1 helmet. It also uses the same lightweight Polycarbonate shell, vent scheme, and removable washable liner. Bell is able to keep the price at under $100 which makes this an amazing value and very hard to beat. You can expect good quality and Bell backs that up with their industry leading 5-year warranty. If you are on a budget or need a backup helmet for the track or a friend, the SX-1 is a must checkout helmet. The Whip graphic is fresh and makes you look twice. If you have $100, want to look good, and need a new helmet, you need the new Whip SX-1.